Workers are currently gutting a 12-unit apartment building at 1207 West 25th Street, in preparation for a nearly $500,000 remodel. The building was purchased for just over $1 million by a Chicago company, Maven Real Estate Partners. The same company has permits to begin a similar remodel of the 22-unit building located at 1200 West Franklin, which they purchased for $1.7 million. Both buildings were purchased on July 21st, 2015. I don’t know what the “Loon Express” sign is all about. I’m hoping for seven lanes of drive-thru falafels in the style of Wells Fargo. But more significantly, I think this proves a theory I’ve long had: if a fancy man wants to be your neighbor, he doesn’t always have to build new. 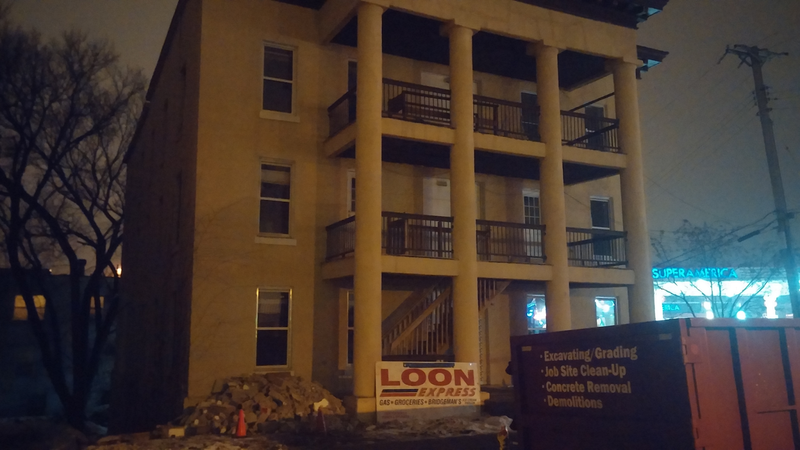 Update 1/16/2016: Same thing is happening to the Alden Apartments downtown.